1. What is your most treasured passport stamp? As a European who had only once travelled outside my continent up until a few years ago, passport stamps are still a total novelty to me, since you don't get them travelling through Europe. I still like to flick through my passport admiring them all, but my Central America ones are probably my favourites, since I got them first. 2. Can you recite your passport number from memory? Obviously I'm not going to post that out on the internet, but yes, I most definitely can. 3. What's your preferred method of travel; planes, trains or automobiles? Trains maybe? I never particularly enjoy the transit part of travelling, but I hate heights, so flying has never been my favourite, and trains are generally faster and more comfortable than cars for me. It's been a long time since I last drove, so I prefer cars when someone else is driving too! Though I do fancy the idea of some proper road tripping in the future, which could either change my tune, or confirm this. 4. What are your top 3 travel items? My camera is always number one, as I take so many photos to preserve the memories. My iPod is a must when there's a long journey involved, and I like to have something around to make notes on, be it a notebook or my phone, just something to jot down details I otherwise forget. I generally book hotels, especially when travelling alone, mainly because I prefer to have a private room. I'm not the most socially outgoing a lot of the time anyway, and travelling can be busy and stressful, so I like some peace and alone time, which you'd struggle with a room with half a dozen other dorm beds. I've shared rooms when travelling before, both hostels and hotels, but I've known the person or people I'm sharing with, so it's less of an issue. Right now, I'm always exploring new places and looking for my next destination, since there's so many places I've yet to go. But there are some I've been to that I'd definitely be interested in going back to one day, perhaps when I'm older and have covered most of my list of places still to visit. 7. Do you read up on your destination or do you wing it? It very much depends on how I'm going to travelling. If I'm going alone, I get very prepared, in terms of where I'm staying, what I'm doing and how I'm getting around. If I'm going in a group tour, a lot of this is taken care of, and I decide the rest (what I'm doing each day) as I go, based on the tour leader's suggestions. In terms of culture and history etc, I might get a basic understanding before going, but I learn most of it while I'm in that country. 8. What's your favourite travel website? This is a bit of an open question, since there's so many travel sites out there, so I've picked a couple of different sorts. Lonely Planet is one of my favourites for guides and travel articles. Intrepid Travel is who I booked my group tours with, and they're great to travel with, or just for since itinerary inspiration if you're going alone. 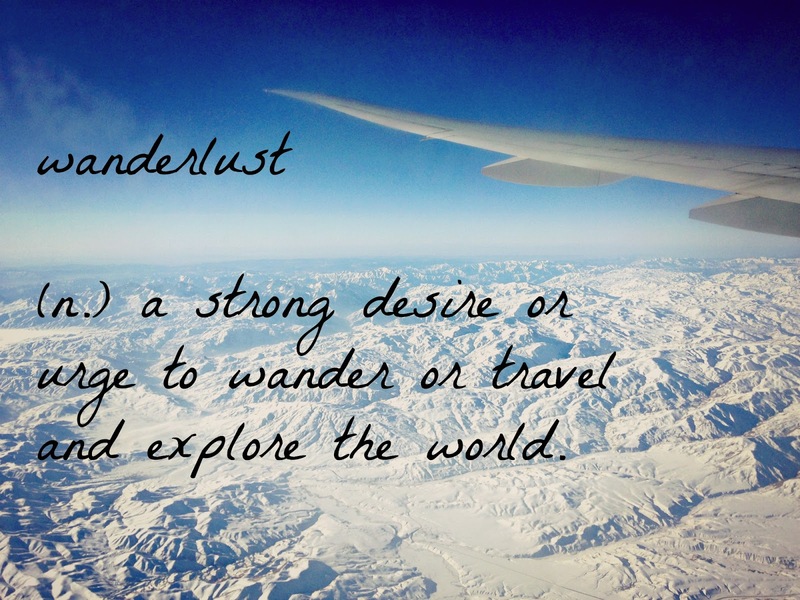 And my favourite travel blog is World of Wanderlust, since Brooke's adventures always look like so much fun, and her posts are informative too. Just one? There are so many places I'd recommend! Hong Kong is vibrant and exciting with so many options for things to do (and is extra special to me after living there for a year); Paris is so classic and charming and beautiful; Guatemala has natural beauty, fascinating history, and wonderfully friendly locals; Edinburgh will always have my heart, and has so much to offer tourists and locals alike... I could go on and on! 10. Where was your first plane to? My parents took us on family beach holidays to somewhere in the Mediterranean most years, and my first time was to the Spanish island of Menorca (which we went on to visit a further six times over the years). I think I was just 6 months old or so my first time, unless they waited and I was a year and a half. UPDATE: Mum confirmed that I was 18 months, they wanted to wait until I was over a year old. 11. Where have you travelled to that you would love to visit again? So, so many places. Mexico and Thailand spring to mind first, as I only saw small parts of them during my first trips, so I intend to go back to see more. I'd say the same about Spain and Italy too, as they were some of my favourite countries when I was travelling in Europe, and there's plenty there I've still to see too. I'd happily go back to many more places, but as mentioned in question six, that'll probably be once I've exhausted everywhere else first. 12. Is there a place you'd never go again? There's nowhere I've been that I've completely disliked, but obviously you're going to like some places better than others. I would say I'm less likely to revisit countries that I saw thoroughly the first time round; for instance, I've always got time for Paris, but I've seen so much of the rest of France while I was living there, that I've no great desire to travel round it again. Cambodia also pops to mind, as I enjoyed my trip there, and there's so much fascinating history, but I feel like I saw enough the first time, and didn't love it enough to be racing back. 13. Where would you travel to just for the food? Italy and Mexico, easy. Italian pasta, gnocchi and gelato is just to die for, and nowhere does it as good as the original (their pizza is also very good, but I tend to go for greasy, deep-dish meat fests, and Italian pizza was a bit healthier than that!). And I love Mexican food anyway, but it was just so much better having it in that country. To be honest, the food throughout Central America was pretty great, as they use the same ingredients (tortillas, beans, rice etc) in most of them, just presented in different dishes and styles. 14. If you're leaving tomorrow, money is no object, where are you going? Everywhere? As I've mentioned, my travel list is pretty long! But thinking especially of the "money is no object" thing, I'd probably be heading to South America, since I want to see as much of it as possible (including the Galapagos, which isn't a cheap trip), and it's a big destination on my list that will require several months to travel around properly, and some serious saving up for beforehand.